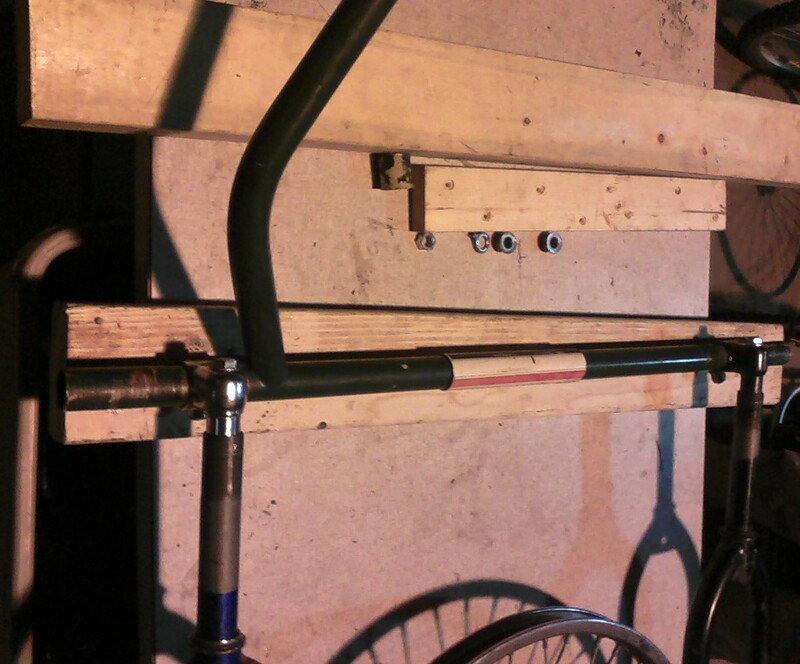 The Front fork rendition of the bike cart is coming together. These pics are of the first prototype ready to be bolted together. I like this design, as it is simpler to assemble, and requires less cutting. We may, in the long run, use the rear frame design for heavy duty carts, leaving the rear triangle as a whole, for added strength and structure, and make the lighter weight carts out of the forks. Leaving the head tube on makes a nice handle. Using the down tube and seat tube from a step over (women’s) frame, brings the tongue, also the handle, around to the right place to hook up to the rear triangle of the bicycle. 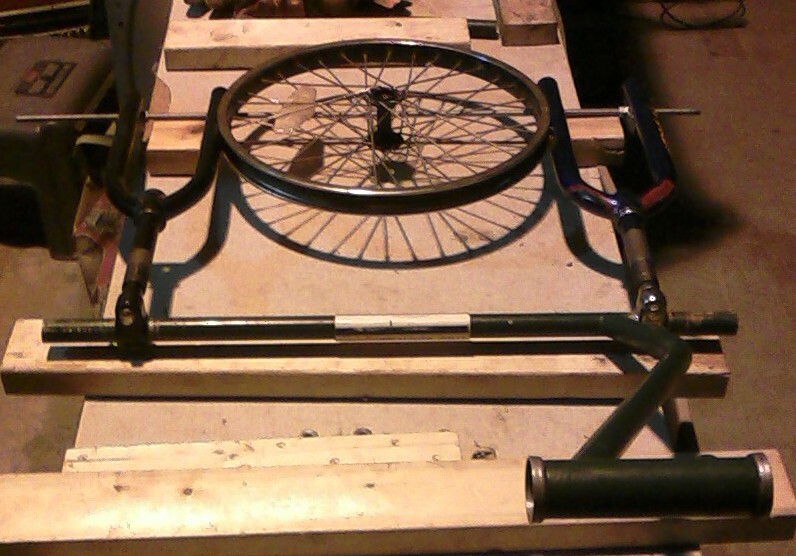 This centers the cart, relative to the bike. Allowing the tongue to be adjusted in angle, and height, by allowing it to be rotated, keeps the cargo area level regardless of how high from the ground the handle is positioned. 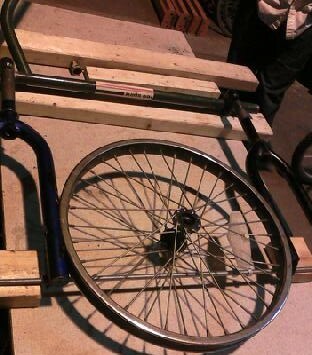 This allows the cart to be easily fitted to different sized bikes, or people. Using handle bar stems to connect the cross brace to the forks is simple and clean looking. This also allows the cart to be lengthened. The extra length of tubing at the ends of the cross brace allows the cart to be fitted with a 26″ wheel for a cargo platform. With a 20″ wheel the overall width is 29″ allowing the cart to be wheeled through most doors. a 26″ wheel would make the cart a little less than 36″ which is a standard width for many external and commercial doors.